DDPI’s plans for the future take into account the growing interest in DDP across different continents. DDP is rapidly growing in the UK, USA and Canada. There are now over 200 certified DDP practitioners and practitioners in training across the UK, USA, Canada, Finland, the Czech Republic, the Netherlands, Australia and New Zealand. Interest in DDP in the UK has grown to the extent that a formal structure was needed to organise, provide and support training, therapy and parenting interventions. During 2016 a group of trainers and consultants set up DDP Connects UK, a not-for-profit company focusing on developments in the UK working closely with DDPI. DDP Connects UK and DDPI have three directors in common to ensure good communication and collaboration around all aspects of DDP including training and certification. Interest is increasing in Australia, New Zealand, Ireland and mainland Europe. Since 2014, Dan Hughes, Kim Golding, Edwina Grant, Sian Philips and Courtney Rennicke have presented in many other countries, including Mexico, Israel, Kenya and Tasmania. What are the priorities for DDPI over the next 5 years? 1. DDP and DDPI being on a firm footing in terms of organisational and certification processes that fit across different countries. extending the certification process to enable practitioners, such as social workers, who work primarily with parents and caregivers to become certified as Practitioners in DDP, specifically in the area in which they practice. enabling individuals who are effectively developing the DDP model in organisations, such as in residential homes, fostering and adoption agencies and residential schools, to become certified as practitioners in DDP specifically in the context in which they practice. The Board want to make sure that a sense of an international DDP community continues to develop. It aims to do this for DDPI Members through regular international DDP study days and conferences, via this website, DDP Newsletters and the DDP Institute Google Groups list serve. The UK DDP Newsletter has over 3000 subscribers. There is no fee to join this forum and it is open to anyone who has completed the 4 days DDP Level One training. It takes time to manage and administer and this is done by Board members. Supporting regular international DDP study days and residential conferences in the USA, Canada and the UK. Since March 2012, there have been annual international 2 or 3-day DDP study days or conferences held in either the USA, Canada and UK with delegates travelling from Canada and mainland Europe as well as the USA and the UK. The next DDP UK Conference is planned for spring 2019. 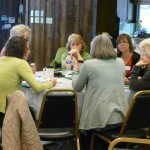 The 1st International DDP Study Days were organised by Dan Hughes in Annville, Pennsylvania in March 2012. Julie Hudson and Kim Golding ran the 2nd residential DDP Conference over 2 days in Manchester, UK in June 2013. 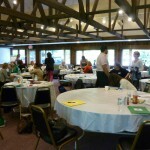 In May 2013, the 3rd International DDP Study Days were again held in Annville, run by Dan Hughes. In 2014, there were two conferences. A 3-day residential International DDP Conference during 6th – 8th October in Kingston, Canada and a DDP Conference taking place shortly afterwards in the UK 10th – 11th November in Birmingham. During 2017 and 2018, DDP conferences were held in Kingston and Cobourg, Canada. In April 2019 the Uk DDP conference will be held in Stratford-Upon-Avon.